30 October 1802 – Lay Carmelites James Dempsey and John Butler arrive in Sydney aboard the Atlas having been transported for life for their alleged involvement in the Irish Rebellion of 1798. Butler died on April 4, 1836 and Dempsey on February 10, 1838. 7 May 1824 – Father Samuel Coote, an Irish Carmelite, arrived in Hobart aboard the Ardent to minister among the Catholics of Van Diemen's Land. He was only the fourth priest to come free to work in Australia, but left the colony for England in December 1825 and died in London on September 18, 1837. 16 April 1881 – Irish Carmelites Joseph Butler, Ignatius Carr, Patrick Shaffrey, Brocard Leybourne and Hilarion Byrne (pictured right) arrive in Port Adelaide aboard the SS Liguria to begin the Australian Mission. It was Holy Saturday that year and the Prior of the Mission, Joseph Butler, continued on to Gawler the same day to celebrate his first Mass in Australia on Easter Sunday. 7 May 1882 – Carmelites celebrate their first Mass in St Joseph's Church, Port Melbourne, Fathers Butler and Shaffrey having accepted charge of the newly-formed parish of Sandridge. October 1886 – Opening of Priory on Beaconsfield Parade. January, 1902 – Carmelites move from Gawler to the parish of Port Adelaide. Carmelites withdrew from the Parish of Port Adelaide/Pennington on 10 January 1999. 1909 – Division of Sandridge parish into the parishes of Port Melbourne and Middle Park and establishment of separate priories. 28 June 1928 – Foundation of first Australian Novitiate at St Vincent's Place, Albert Park. The Novitiate and house of Studies moved to Whitefriars, Kew in 1930, to Whitefriars, Donvale in 1937. 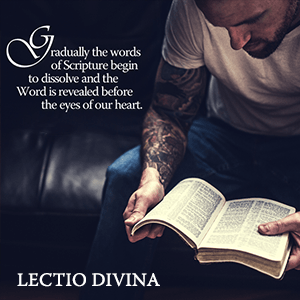 In 1946 the Novitiate was established in Wahroonga and moved from there to Hunters Hill in 1956 and then to Lawson and in 1964 to Winston Hills. In 1974 the Novitiate returned to Donvale and moved to Vermont in 1976, returning to Donvale in 1977. Since 1982 the Novitiate has been located at Port Melbourne. In 1984 the Student House moved from Donvale to North Box Hill, returning to Donvale in 1986. The Novitiate and House of Studies were once again combined at Port Melbourne in 1987 and returned to Whitefriars Donvale in 1990. In 1999 the Novitiate and House of Studies moved to Port Melbourne and in 2005 to Middle Park. 22 March 1930 – Foundation of the Australian Commissariat. Father Robert Power first Commissary General. January, 1937 – Foundation at Cavendish Road, Coorparoo. 1947 – Foundation of the Lay Carmelites in Australia by Father E.J. Nugent. 14 September 1948 – Foundation of the Australian Province. Father E.J. Nugent first Provincial. January, 1949 – Foundation at Meadowbank, New Zealand. Foundation closed in 1970. 1956 – Frs William Morganti and Robert Dowd together with Br George Parsons went to Southern Rhodesia (now Zimbabwe) to join the Carmelite mission which had been established by the Irish Province in 1946. The Province’s involvement continued until 1961. 1956 - Foundations at Hilton and Wentworthville. Foundation in Hilton closed on 31 January 2005. 1973 - At the invitation of the Indonesian Province, the Australian Province took over the mission in Sumbul in North Sumatra in March 1973 and continued to have responsibility for it until 1982. In that year Fr Anthony Scerri, who had been parish priest in Sumbul, became vice rector of the new St Thomas’ University in Medan and remained there until September 1995 when he became a general councillor. The Australian mission in Indonesia ceased at that date. 1977 – Foundation of the House of Prayer at Vermont which moved in 1978 to Warburton, and of the Whitefriars College community firstly at East Doncaster, then at McGowans Road, Donvale in 1978 and finally at Merinda, Donvale in 1979. May 2001 - The Australian Carmelites accept the invitation of the Indonesian Carmelites to incorporate Timor-Leste (East Timor) as part of the Australian Province. 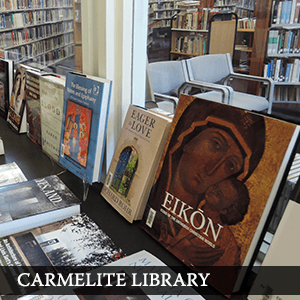 16 August 2001 – The Australian Carmelites accept responsibility for the Carmelite Presence in Timor-Leste and for the Mission Parish of Zumalai. 2 August 2004 - Foundation of the first Timor-Leste Novitiate at Fatuhada, Dili. 22 January 2005 - Reunification of the parishes of St Joseph, Port Melbourne and Our Lady of Mount Carmel, Middle Park as one parish. 20 July 2005 - Foundation of Titus Brandsma Community, Fatuhada, Dili. 17 April 2007 - Foundation of St Elijah Novitiate in Hera, Timor-Leste. 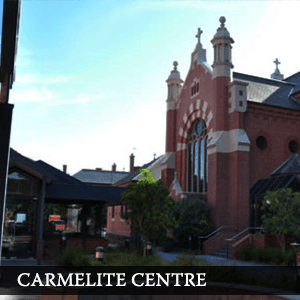 29 July 2009 - Carmelite Centre formally launched by Fr Wayne Stanhope, Prior Provincial. 8 May 2010 - Blessing & opening of St Nuno Student House, Hera, Timor-Leste.